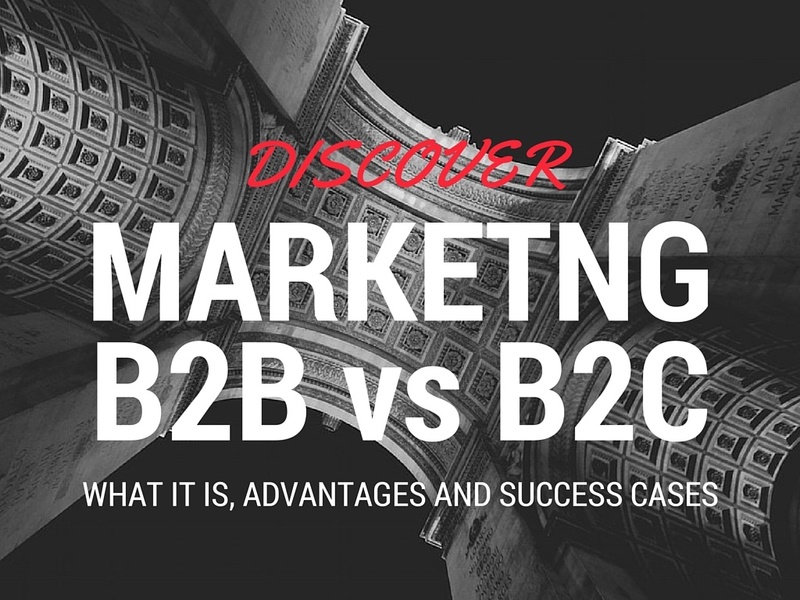 What is B2B Marketing and B2C Marketing? Today we will discuss these two concepts, their advantages and some success stories. This is a fundamental distinction when planning campaigns and to have success in our strategies. So that you have it very clear, we will explain the metrics for B2B marketing and B2C marketing, what they are and success stories. What is B2B Marketing? This stands for "business to business", that is, from company to company. This type of marketing, therefore, is not directed to final consumers but to other companies, either to sell raw materials or other products that need (for example, office equipment). In the marketing business to business the customer is primarily interested in optimizing processes. Transactions normally have a higher value than in the consumer market. Because of these characteristics, the B2B marketing is based on rational arguments. What matters are not the emotions, but the characteristics of the product or service. The B2B market is "thirsty for knowledge" and wants the most complete information possible through formats such as videos, downloadable materials or catalogs. In short, it tries to explain the objective characteristics of the product extensively and detailed. Open rate of emails. This metric is primarily focused on knowing how good your headline did to get the attention of your main customers. If you use the same titles on your blog or web and in your emails, you'll get an idea of ​​your success in all your platforms. Shared on social networks. You've already gotten the attention of your target audience, but this is useless if your content does not add value. One of the ways to objectively measure the value you bring to your users is through the number of publications shared on social networks: if they care enough to share, you are on the right track. Output rate. Your content must not only add value to your audience, you should also be related to the mission of your company. 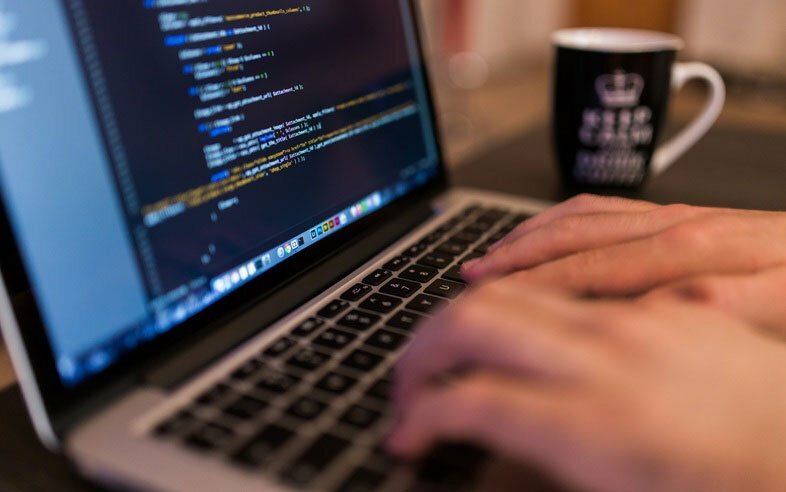 It is no use having a highly successful post if users do not continue browsing your website, so it is worth finding out which pages have a higher bounce and which are the last ones that users visit before they leave. Conversion leads. The next step is to convert people who consume your content into leads. To do this, you need to convert them into leads and get them to leave their data, for example, in exchange for a free eBook. The final metric to measure the result of a marketing strategy is essential to establish a connection with sales. Only then will we know the return on investment for our actions. If you want to go deeper on this section you can read the post -> 5 marketing metrics you probably don’t know about. Volvo Trucks has very clear objectives marked: to bet on content marketing and make everything in a single format, video. This could have backfired on them, but eventually they came out with a great strategy. The truck division of the automotive brand launched in late 2014 the video called The Casino. The first month it got 3 million views. More than 100 million views. More than 8 million shares. More than 20,000 articles published on audiovisual. An intention to purchase of 50%. Since almost half of truck drivers who saw the video said that the next time they buy a truck it will be Volvo. Undoubtedly the star of the video series is called The Epic Split with Van Damme. That has today has 82 million views. This shows that you can make global communication in B2B Marketing. What is B2C Marketing? On the other hand, we have the Business to Consumer Marketing, where actions are always directed to the final consumer. The result is that rational doesn’t win, but the emotional factor is the most important. Overall, sales in the B2C market are less valuable and more impulsive. The consumer does not give much importance to the objective characteristics of the product but what it brings to your life or makes them feel. Therefore, in this type of marketing communication it is more creative, subjective and emotional. Conversion ratio. This metric tells you how many visitors to your site have finally become customers, so that puts you on track to know the quality of your traffic. In the B2B world, with cycles much longer for sale, usually measured conversion to leads, but here the process is faster and direct. Critical steps necessary for the conversion. If you want to improve your income, you'll need to know the "way" that leads your visitors to become customers. How many steps are required from that mark to find your first purchase? How can you facilitate each? Acquisition Cost. Or, in other words, how much you need to invest to get a new customer. Naturally, the lower the number, the higher the profit margin. Brand awareness. One of the most important metrics for B2C marketers is also one of the most difficult to measure. How many people know your brand? And yet, what do you think of it? Although there is no universal indicator of brand awareness, yes you can have controlled this metric by monitoring data as Google searches, visits to your website, mentions on social networks, review sites, Google Alerts or surveys on and off line. Another interesting article on this subject is the 5 marketing metrics you probably won’t know (Part 2). It has increased the number of keywords in the top 10. Monthly visits to the site from Spain revolve around 5,500, with an average CTR of 0.21%. And from France are about 5,400 visits per month, with an average CTR of 0.32%. Facebook communities were opened in May 2014 and today have 8,489 followers in Spain and 6,310 in France. Email marketing campaigns have come to attract more than 10,000 leads. We managed to improve the SEO of their website, attract new visitors by advertising content, creating a presence on social networks, increasing the number of subscribers and covering different promotions and CSR actions. In short, fantastically designed content to reach consumers. You know we always love to inform and keep up with everything that is related to online marketing and digital advertising. You already know that we are here to help you with any doubts you may have to develop your campaigns.